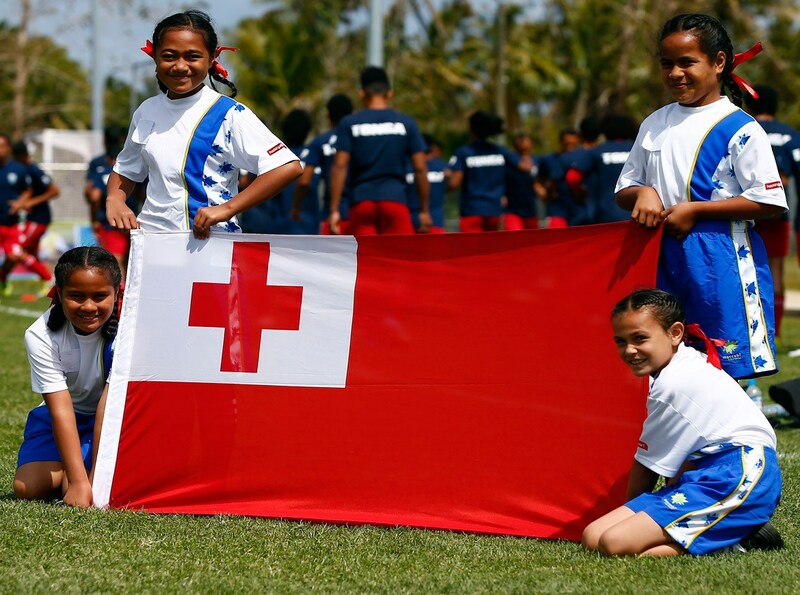 Joining the remaining seven OFC Member Associations in the OFC U-16 Championship in September is the prize on offer to Tonga, American Samoa, Cook Islands and Samoa when they kick off the Qualifier tomorrow. Host nation Tonga has already seen their U-19 squad make history with passage to the final competition for the first time in May, but the slate is cleared for this competition. All four countries have every chance of progressing, but first they face three match days at the Loto-Tonga Soka Centre where the competition for that one spot is expected to be fierce. The action will get underway on Saturday at 11am when Samoa take on the Cook Islands before American Samoa meet the hosts at 2pm. Samoa made their way to Tonga via New Zealand where they were able to continue their preparations they began at home, with several friendly matches. Coach Martin Tamasese said the build-up has been positive and now the team are ready to get the tournament underway. “Our preparations have been pretty good. We prepared from Samoa and also in New Zealand and we arrived here and have been doing good, all our boys are keen to play,” Tamasese said. Cook Islands haven’t been idle either. The side led is coached by Anthony Samuela who said the aim is Solomon Islands, but also progression amongst the squad. “Our preparations for the boys was really very good, we have been together for six months back at home,” Samuela said. “We have just been working as a team and trying to get better together. Samoa have a strong side for us, we need to play as a team, win as a team and that’s from my side looking at the other team. The second encounter of the day will see the hosts come into action against American Samoa. Like the two opening sides, American Samoa have been working hard at home to prepare for the tournament. “The preparation is going well but it’s a little bit tough putting all the players together,” American Samoa coach Ruben Luvu said. He said playing the home side first up is a challenging but exciting prospect for his young charges. “We expect how they play because the home crowd is at the back of them, but as we said to the players, where we go play just like we are at home. For Lafaele Moala the objective, like that of each of their opponents here in Tonga, is to progress to the next stage. “Of course, my aim for this qualifying is to get through to the second stage but first we have to to knock down these three teams before we go on to the next stage,” Moale said. The OFC U-16 Championship Qualifier gets underway on Saturday 14 July with the remaining matches to be played on Tuesday 17 and Friday 20 July.